I suspect that’s what you’ll say if you’re the parent of a child who comes begging for a Gameband Redstone, the officially-licensed Minecraft wearable, which has finally touched down in the UK and Europe. And you’d have a good point. It is a lot for what it is. $79.99 for a branded USB key with some bells and whistles. But, if you do have a Minecraft fan in your family – of whatever age – they’ll love this. It’s great fun and makes sharing your Minecraft creations easy. 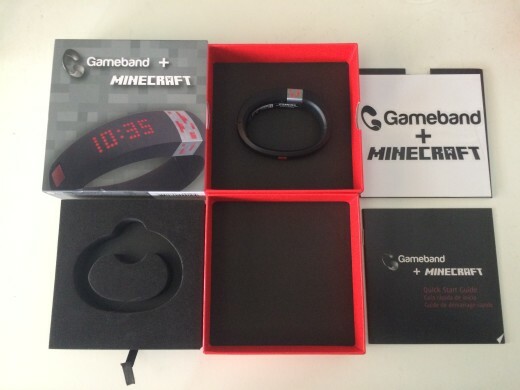 The main point of the Gameband is to let you quickly grab your locally-saved Minecraft worlds and use its 8GB of storage to carry them around with you. 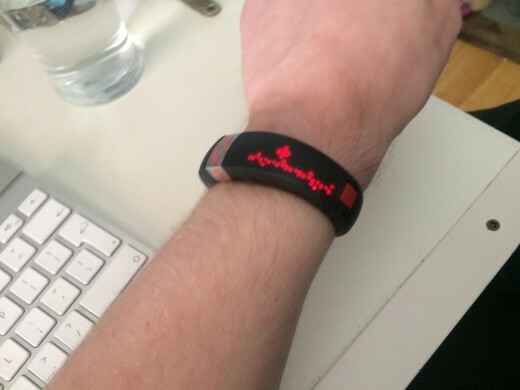 When you want to show them to someone, you can just plug the band into their computer and get going. It works really well. The other fun thing is that the device comes with Pixel Furnace pre-installed, so you can easily program it to show your name or a pattern of your choosing when you press the button. It also has presets to give you the time, the date and the amount of available storage. I found it easy to set up and get my head around and I suspect that any kid who is already proficient at Minecraft will find it simple to get started with as well. Yes, @brokenbottleboy made the Gameband light up and show his name. The bad points? The Gameband runs small – go for a size bigger than you think you need – and it isn’t adjustable. I have relatively small wrists and still found the clasp on the model I was sent difficult to close. What happens when you don’t close the Gameband clasp carefully. 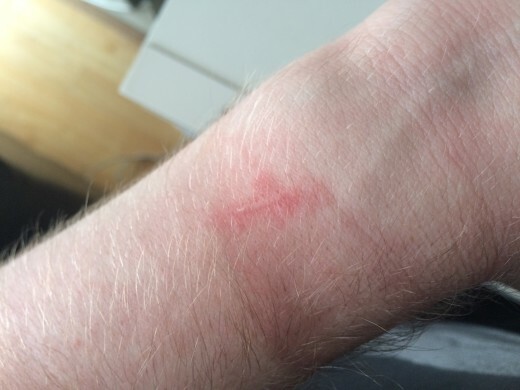 You’re warned to be careful when you first go to clip the band on as it is very easy to get your skin trapped. As a device targeted at children, it’s definitely worth Gameband thinking a little more carefully about this design decision. 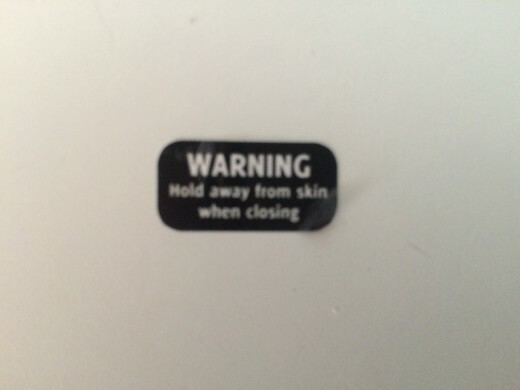 This warning sticker really isn’t enough. In terms of resilience, the band is waterproof – to a degree – and reasonably hard-wearing. It should manage to survive most of the things a child will throw at it, but your mileage may vary. 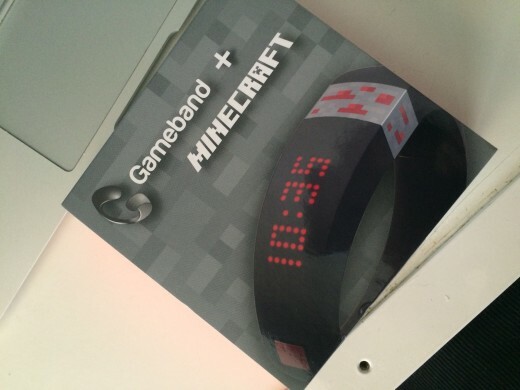 I would recommend the Gameband to people who really like Minecraft. It’s a fun accessory to your online adventures and also works well as a watch and general talking point. Programming the LEDs is also a great exercise for kids of all ages. My one issue is the price: I think it’s a little steep for something with such a limited set of features. But ultimately, if you’re Minecraft mad, you’re going to want one. I definitely want to keep it.